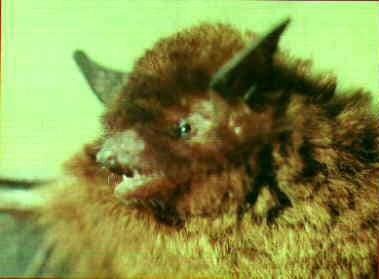 The Red Myotis was first reported by E. Geoffroy in 1806. It inhabits Argentina, Brazil, and Paraguay. This particular species is currently (2003) listed as vulnerable. This particular bat is from the Myotis family. Myotis meaning mouse-eared bats. There has been little research carried out into this particular species of bat. E-mail to add your Red Myotis related website.